D.G. Yuengling and Sons, Inc. Project | Systems Design Engineering, Inc.
Systems Design Engineering has worked with America’s Oldest Brewery for nearly 20 years. The past two projects take us back to our roots with wastewater, the original driving force for our partnership since the beginning. 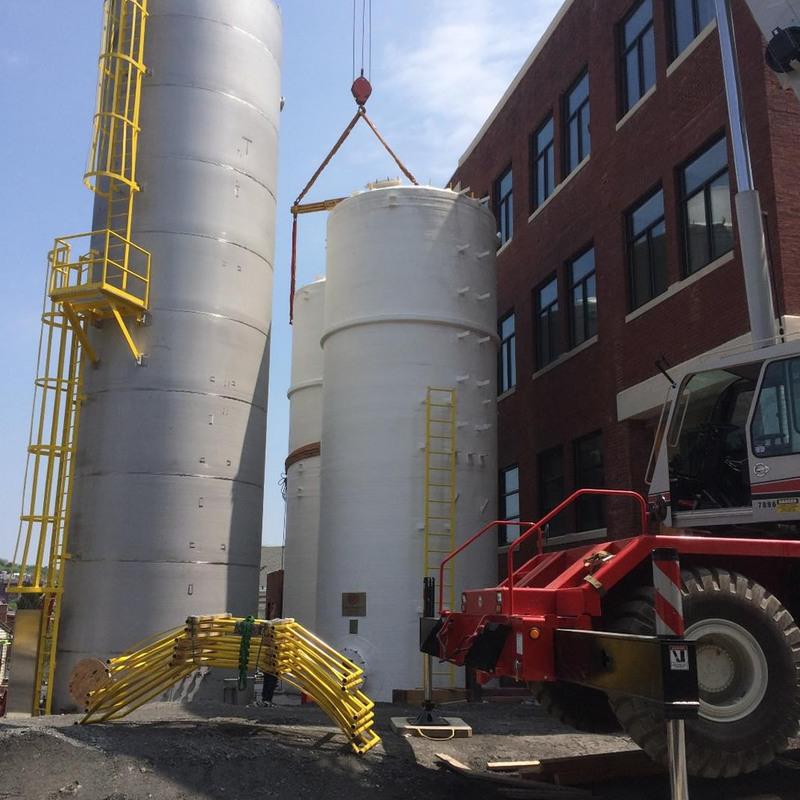 Two projects, one at the Old Brewery in Pottsville and the other at their plant in Tampa, FL, incorporated reduction of high strength wastewater with Combined Heat and Power concepts. Anaerobic reduction of organic loads provides methane gas to run electrical generators to provide energy sufficient to run the plant plus reduce their base load. Efficient CHP features provides heat for their building. While the Tampa project had plenty of space, the tight quarters of the Brewery in Pottsville posed a challenge to incorporate all the needed features and allow the addition of their new Gift Shop and Museum.